I shared my story a few months ago on my personal Facebook and I’ve had so many friends asking for advice and support. So I thought of just sharing my story publicly and hope it can inspire you too. If you’ve never gone through a weight loss struggle, you will not understand how hard it really is. It makes it even harder for those who have never adapted to a healthy and active lifestyle, I was one of those people! It was November 2014 when I finally made a change. Not a yoyo diet, an ongoing lifestyle change, Alhamdulillah- Allah praise to Allah. Let me first state that I’m not a PT or a nutritionist, but this is what I did and it worked for me; it may or may not work for you but hopefully you can take a thing or two. Today marks the date I turn 30. Today, I am lighter than I have ever been in my 20s. The last time I weighed 50kgs, I was 18! 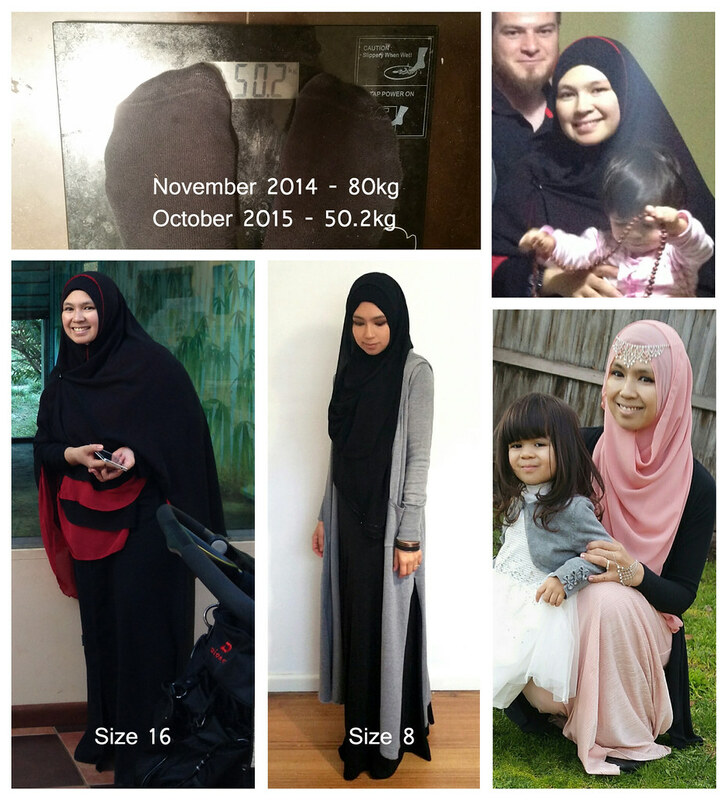 In November 2014, weighing 80kgs (size 16), I told myself that I wanted to lose 30 before 30! In the first 5 months, I lost 22 kilos quite easily & healthily (no stupid diets) and after that, I plateud for 2 months at 56kgs, then again plateud at 52kg for another 2 months. Now let me share a bit of my history before I get into some weight loss tips. Since 2010, I wanted to lose weight so I bought a lot of things…from expensive gym memberships, wii fit, treadmill and elliptical machine, to buying all sorts of shakes- herbalife, LBW etc! I knew I had to lose weight but I didn’t want it bad enough that as soon as an excuse arose (fell pregnant and diagnosed with under active thyroid), I gave up instantly. I used pregnancy as a way to let myself go. I can’t entirely blame my weight gain on pregnancies alone because it was more of my poor eating habits that made me stack on the kilos. I would snack on chocolate, chips and all sorts of junk, every-single-day. I was a total couch potato and the thought of exercise even before I started made me ill. The thought of giving up on carb loaded food and yummy desserts, how could I miss out on these things? I am a huge food lover! So I kept saying I’ll start on Monday but when Monday came, I pretended like I had forgotten. This kept repeating for months and years. Soon again, I picked up my so called “wanting to lose weight mojo” and probably managed 2 weeks into it when I couldn’t help myself and started binge eating again. Of course as some of you can relate to this thought –> “what’s the point of exercising now that I’ve eaten so much junk?! Forget weight loss man its so bloody hard!!”. How bad do you want it? Saying ‘I need to lose weight’ isn’t good enough. Trust me, it took me 5 years to realise how to put it together and stay motivated. Yes it is hard and you need a lot of patience, self motivation & support! Here are my most important tips to get started. Weight loss is a mental challenge more than a physical one. Pain is a temporary thing, but what keeps it going is whats IN YOU!. Even if you own a gym, but if you don’t have the willpower/determination, you still wont be able to shed off any weight! So tell yourself you can do it, and you really can! Mind is a very powerful thing subhanallah. Have a big goal, but also have mini goals first to reach to that big one. And have rewards for those little goals. Mine was buying new workout gear, going to the hairdresser, getting laser hair removal (best thing ever!). Rewards can be as little or as big as you want. But always remember your GOAL when the going gets tough. Never leave exercise for more than 3 days in a row. Once you stop, it is very hard to pick yourself up again. So that’s why slow and consistent is the winner. 5. When exercising gets hard, go back to #1 and #2. 6. Find support. It can be your husband, sister, friend, PT…anything! 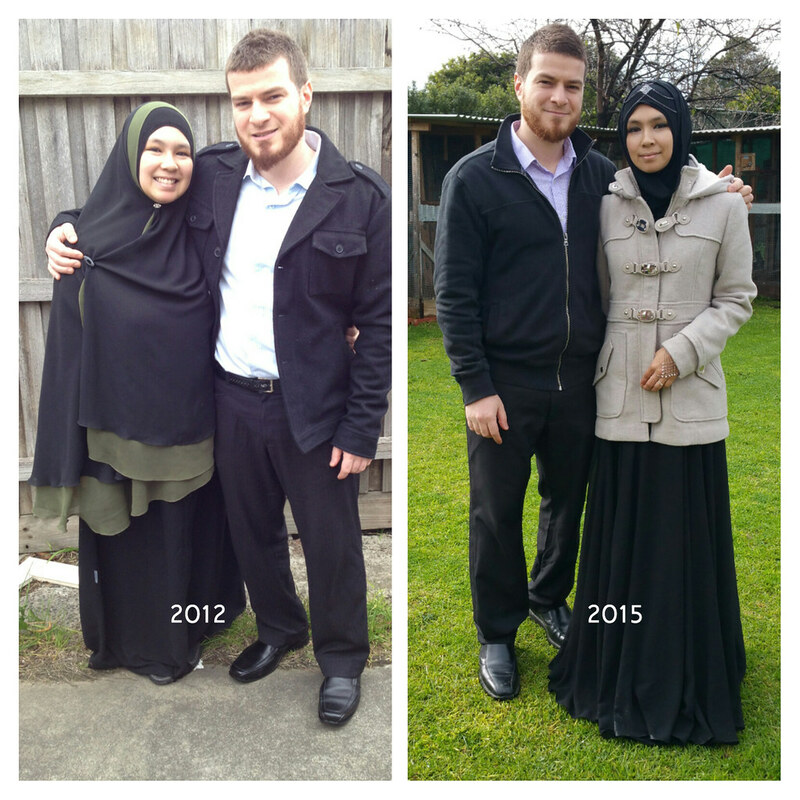 My support person is my husband, and also my friends in our private Muslimah weight loss support group on Facebook. I am also in the Lose Baby Weight group, and found that it was such a huge motivation to get me started. Seeing before & after photos really makes you realise that everything is possible! Note: If you want to lose weight, make sure you take progress photos and measurements every month. Don’t rely solely on scales! I can’t stress how important photos and measurements are. The first 3 months I was a bit dissapointed because I didn’t feel any difference and thought I hadn’t made much progress until I put my photos side by side. I was gobsmacked at what I saw! I’ve lost hundreds of centimetres, Mashallah! Once you see results, you subconsciously want to eat healthy and look after yourself. Water is so important. I plateaued for a few weeks and started to increase my water intake and from the next day onwards, my weight was dropping and I was losing about a kilo a week,tabarakallah! So drink at least 2-3L a day. It helps so much with weight loss! I dont understand when people say I want to go on a fruit diet, or water diet and all these rubbish diets. Why do you deprive your body? Please just eat healthy and have an active lifestyle. Eat small portions every 2-3 hours. Once your body goes into starvation mode, you are storing fat! Dieting is a temporary thing, because once you’re off the diet and back your normal eating lifestyle, you’re going to pile on the weight again. It is not sustainable and you want to do something healthy and life long inshallah. 3. Cut off processed sugar. It will be sooooooo hard at the start, I used to crave something sweet after every meal, it was an addiction. But now, I don’t even crave it. It takes time. You can make healthy dessert substitutes. A quick google for ‘clean desserts’ will give you tonnes of recipes. 3. Having said that, do enjoy treats once in a while. Don’t deprive yourself. We are all humans and of course we enjoy a yummy fatty treat once in a while. When I see a piece of cake, I’ll eat it. I usually do treats once a week (portion control and I choose what I eat, if I want to waste my calories, I want to make sure that I’m eating a delicious quality dessert that I really enjoy, not just for the sake of social eating), and never ever feel guilty and that you’ve jeopardise your weight loss. Your only guilt should be wanting to burn it off! I always tell myself, one piece of cake will not make me gain weight, the same as 1 day of exercise will not make me lose weight. I will not lie and tell you that there will be days when you feel like its so hard and you want to give up, but quickly refocus and think of your goal. Get a pair of old jeans and keep trying it on every month. I had my honeymoon clothes stacked away in the shed. I never thought I would get back into it, but it fits now and it makes me feel so good! In the past, when I shop for clothes, it was only for my kids (I used only buy mine at Kmart). I was in denial that I was a size 16 therefore I refrained from buying, but now I enjoy walking around the mall looking at clothes (for me)! And when your hubby wants to eat healthy and start exercising because he is inspired by you, wowzers! Waking up feeling lighter, and running around chasing your kids because you have the energy to, is the best feeling in the world! Even at my goal weight now, my body is NOT the same as when I was 20yrs old. I’ve had 3 kids back to back so thats going to change the way my body looks, but what is important to me is that I am fit and healthy. Even when I was a 50 back in the days, I wasn’t even fit. For busy mums who can’t get access to a gym, don’t stress! 15mins a day in your own living room and all you need is your body weight. Put on some YouTube videos. If your kids are there to annoy you, carry them and use them as weights, they’ll start giggling and thats your bonding time. I do a lot of incidental exercises like squats while mopping and lunges in between stirring my food on the stove, and so much more! Start small, build gradually. Be fit for yourself, for your kids, your hubby and most importantly for Allah who has given your body and health as an amanah to you! Fit and healthy Muslimahs, inshallah. way I eat although since I do noticed I have more appetite nowadays than I ever was. So thank you again for your tips! As Salaam Alakym wa rahmatulahi wa barakatu. Amazing journey! Sub han Allah. May Allah subhanau wa taala continue to make it easy for you. Ameen. Thank you for sharing. Hi and salam. im in my 20s. Eating healthy seem to be a big problem for me. Im at the office most of the day. And the only cheap option for lunch / dinner is mamak. Other restaurants are quite expensive. Do you have any suggestion? Anyway, congrats on the huge achievement. Wow congrats on ur great achievement I’ve been struggling everytime I fall pregnant takes me forever to. Loose the weight I’m 59 for the last 8 months not dropping an inch ???? You are so awesome mashAllah! Loved reading this. MasyaAllah… An interesting and inspiring story.. I wish myself can be as good as yours. I am now in the way reducing my weight. Try to enjoy on it as much i can.. Yes, indeed, what you said are definitely true. Now am 1/3 of your weight lost.. More to go but i will not give up, as u have proove it. Wish me luck too. ???????????? Salam sis, congrats for your weight lost, and looks young .. its inspire me, im 24 years weight 110kg and height 166cm i look 44 years old, really old, and hate when someone call me kakak or makcik.. i really don’t have confident at all, always shy to do something for example presentation, im still study and this is last year and really hope can graduate like normal people beautiful .. its really hard journey, my diet always fail not more than 1 week, i will try again tq .. Thanks..Saya sekeluarga ambil yg haq sahaja tiada yg lain.Dulu kini dan selamanya..
masyaAllah. this is very inspiring. thank you for sharing. Thank you for sharing us. Congrats for your loss weight and looks young. I will try your method for me to lost my weight. Thank you :) The last few kilos are the hardest. If you are 59, I am assuming you are quite near your goal weight. Try and shock your body into a different routine. Maybe intensify the exercise or try and eat super clean. Assalamualaikum..indeed really inspires me a lot..tq dear for ur sharing..
Hi Iva! Im blessed to read your post. U know what I have changed slowly my meals to low carb since Monday few days ago….and today i shopped for different stuff. I bought mineral waters and a pack of baked fruits&nuts to eat coz im still hungry after breakfast of baked fish this morning.. I waved an eyebrow when i passed by my fav epok epok! 1m 1.62m and 71kg. 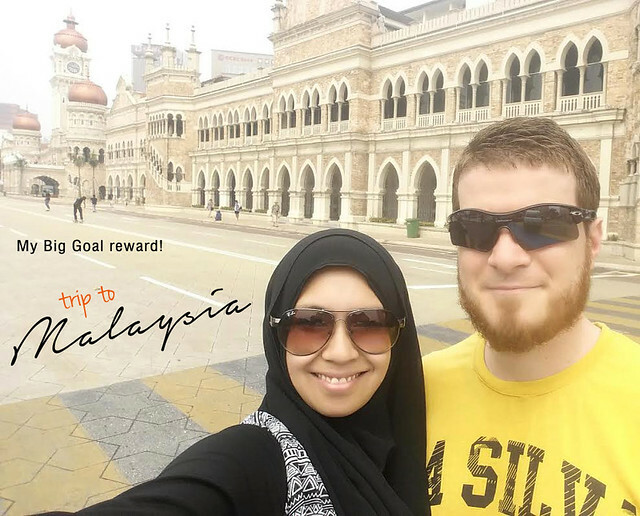 Masha’Allah your journey is so inspiring! I’ve been following you on instagram for so long and only just came across your blog. Would it be too much to ask to join the Muslimah weightloss group on Facebook. I’m the type of person who can’t seem to stick to a healthy eat and fitness regime for long enough to see any results. I would love all the motivation and support I can get!! Thanks again for sharing, I’ll be sure to check out your blog more often now. Alsalamualaikum, Thank you so much for sharing this. You have motivated me a lot and inspired me greatly. 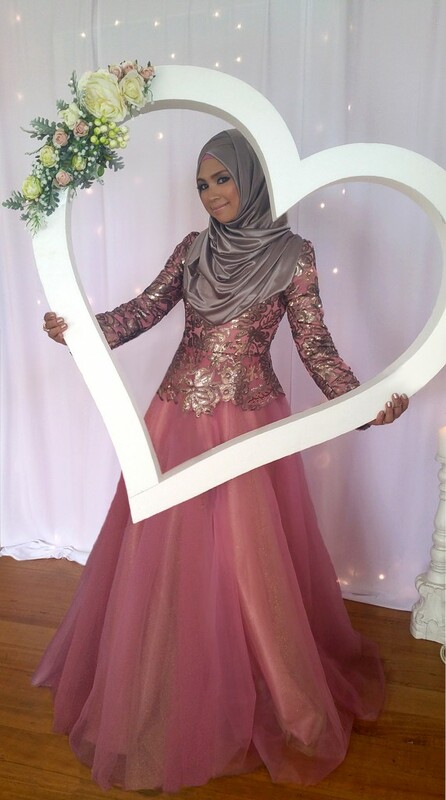 Allahuma Barik you look beautiful.May Allah bless your kind soul.